Overall Opinion: NO! DON'T WATCH IT! DON'T BE A HERO!!! The acting was bad, the scenes were terrible, and everything as a whole was just plain awful. Well, except for Kaitlin's boss. That man can do no wrong. 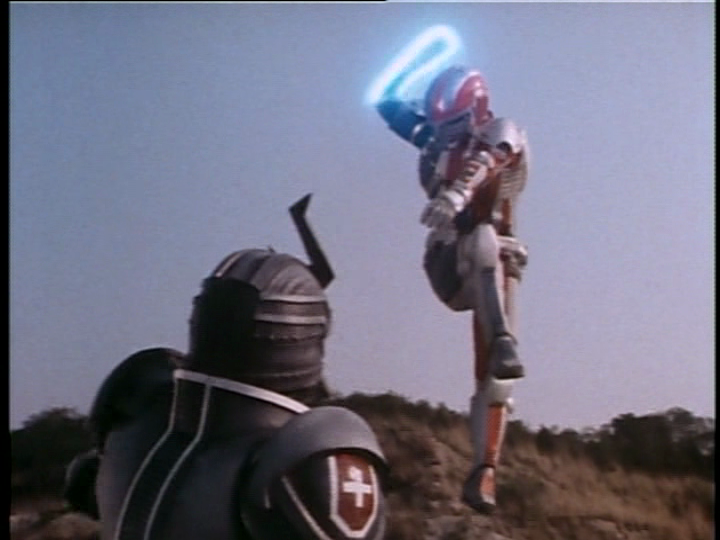 On a whim, Ziktor tries a new tactic against the VR Troopers to defeat them. His plan is to have GreyBot, a shape-shifting robot who can look like a human, befriend Kaitlin and attempt to get her to dislike her fellow Troopers. I guess the goal is to get her so angry that she'll no longer want to protect the world from invaders due to petty jealousy. Disguised as Jeremy Gibson, he is introduced by Woody to tag along with Kaitlin and show him the ropes around the newspaper office. Afterwords, they go out for lunch with J.B. and Ryan Steele. During the meal, Jeremy acts like a totally handsome jerk in order to rile up J.B. and Steele before some Skugs attack. All four of them defeat a Skug and the Troopers are impressed that some nerd who wants to be a reporter can actually fight. 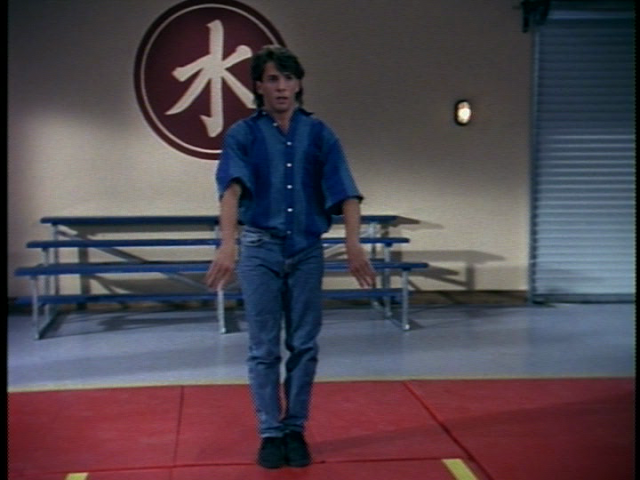 Kaitlin offers Jeremy a trip to Tao's Dojo so he can show off his moves to Tao and maybe join Tao's club. He agrees and heads off to exhibit his skills. Flailing the hands is part of the technique. Ryan, J.B., and Jeremy all do routines at the Tao's Dojo to try and impress each other. Master Tao and Kaitlin praise Jeremy. even though his technique was very sloppy The next day, Jeremy is seen at the Underground Voice's newspaper office, typing an article. 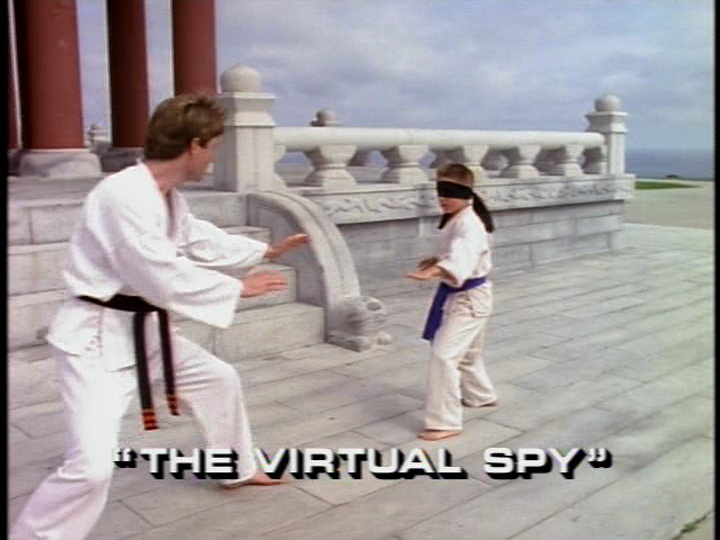 Kaitlin asks what he is writing about and he responds that he is investigating the VR Troopers. Kaitlin leaves Jeremy and informs J.B. that something is strange about that Jeremy guy and that they should go to Professor Hart's laboratory to investigate Jeremy's past. J.B. and Kaitlin enter Hart's lab and discovers Jeremy to be a spy. During the investigation, Jeremy hacks the VR Lab's security system and locks the lab's doors, sealing J.B. and Kaitlin in. Jeremy tells the Troopers that he rigged the gateway to the lab to transport whoever arrives next to be sent to a Virtual Battle Zone, where if they lose enough energy to cease their suit's functions, they die. On cue, Ryan enters the portal. Jeremy reveals his true form: GreyBot. He attacks Ryan in the Virtual Battle Zone and is destroyed by Ryan. Everybody lived happily ever after. THE END. Sigh...The Troopers were never revealed to even exist. All the episodes prior to this one had scenes where they were trying to keep the whole thing hidden from the city. Yet Woody and Jeremy knew of their existence. I'll give the benefit of the doubt that this episode was probably released prematurely when it was suppose to air, but c'mon! That is such an oversight. 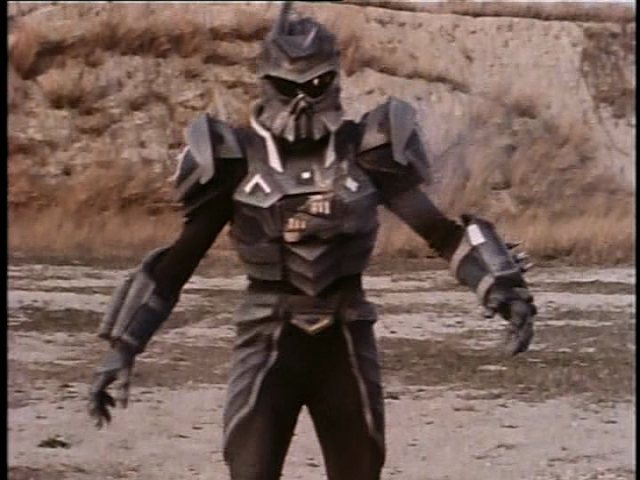 They also had another continuity error when GreyBot fought the Skugs and didn't phase out of reality on contact with another virtual entity. It's annoying how little they care about their own lore. 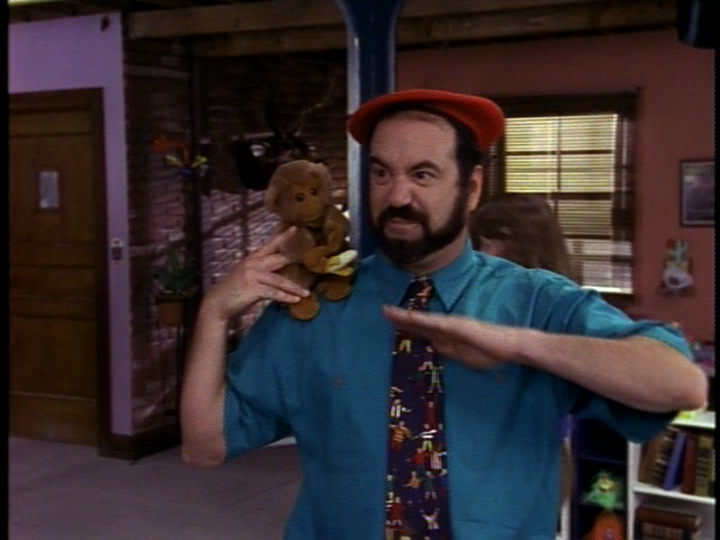 To get to the meat of the episode, they failed at carrying out the premise. J.B. and Ryan were only mildly miffed at Jeremy. Kaitlin never had to make a choice to hang out with the bad boy known as Jeremy instead of her friends. There was no real conflict and it was mostly a waste of time. The fight with GreyBot was cool, but once again, was very short due to switching back and forth between the fight and J.B. and Kaitlin cheering Ryan on. I'm disgusted by this one. Bonus points are awarded to me for making a Saban TV show reference. Sweet Valley High was produced by them. Yay me!